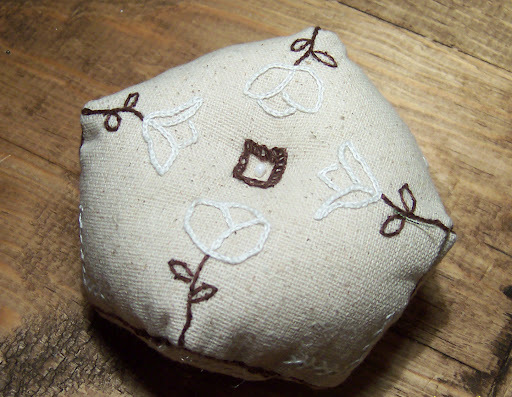 Inspired by International Hand Stitchers and La Fee Rie. Biscornu is French and means irregular. 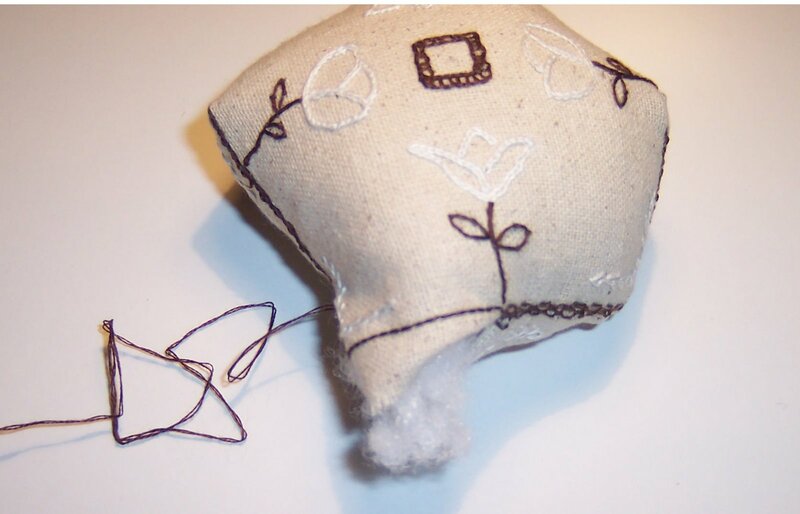 In this case an irregular pin cushion. First start by transferring pattern to fabric. 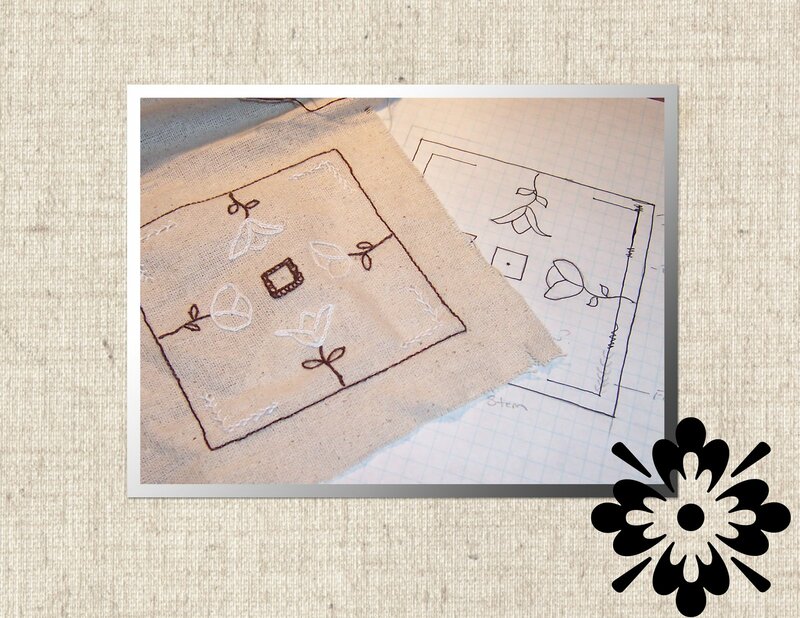 Pattern should be 4″ X 4″ plus 1/2″ seam on each side. I used various stitches for each part of the biscornu. 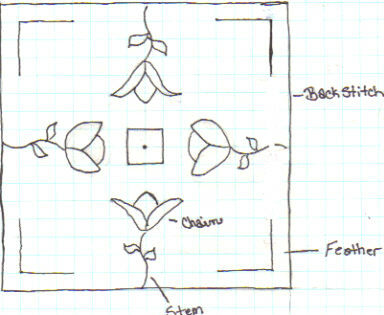 The leaves are a chain stitch while the corners are a feather stitch. The stitches are marked on my pattern if you choose to use it. 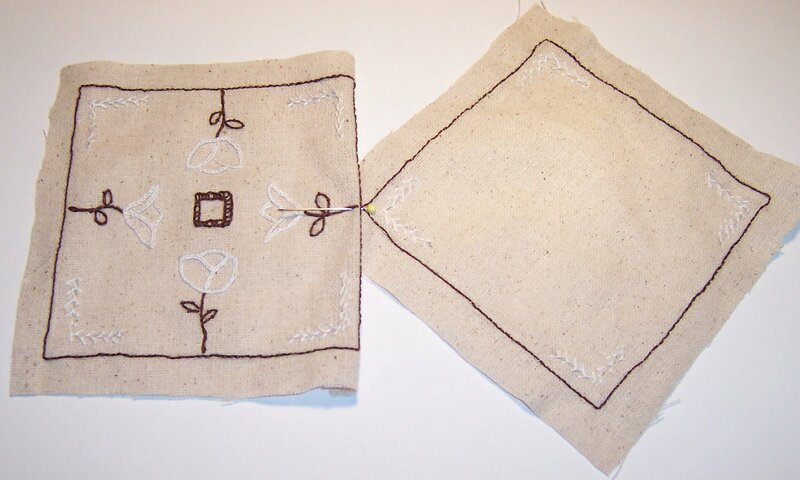 When embroidery is finished you can begin to attach sides. For the first stitch, I come up from underneath on the bottom side and loop through the front and bottom at corners. From there I loop through every two stitches, pulling to close gaps (as with slip stitching). For the corners I do all three surrounding it instead of skipping. Sorry this picture is a little blurry but it is an important step. 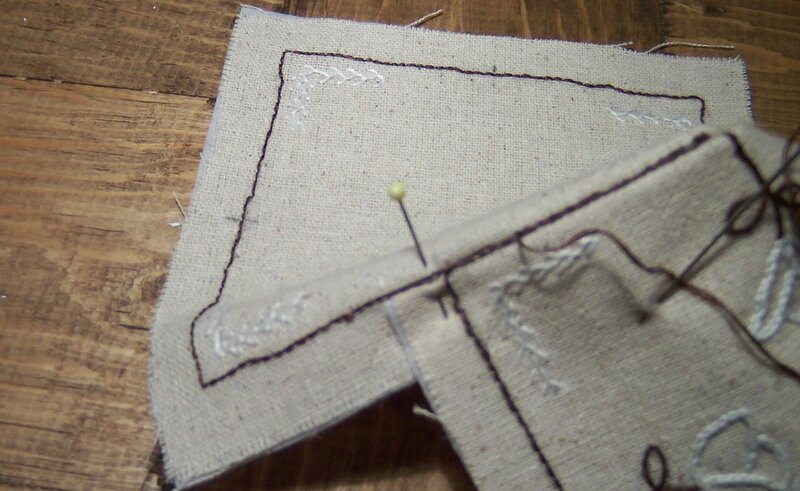 As you stitch, pin the next corner as shown below. It helps to make sure you don’t miss align even the smallest amount. To stuff leave the last two corners free. I would suggest putting plastic pellets in the bottom for weight. Finish up last two corners securing thread at the end ( I knot mine). Last, but not least, is sewing the bead in the middle of the top and the bottom. Pull needle through center from bottom. Leave an 1/2″ from knot on thread. Put bead on thread and pull needle back through to bottom. 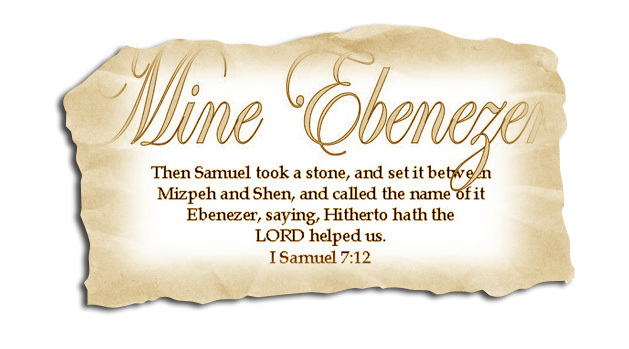 Place another bead on thread. Pull thread through the 1/2″ of access thread. Pull tight. Secure. And now you have your first Biscornu! This is a wonderful tutorial and very unique!